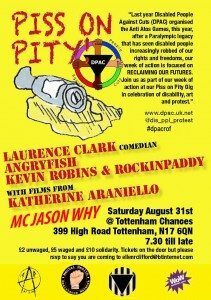 Madpride compere Jason Why introduces an all star line up with films from Katherine Araniello, comedian Laurence Clark, singer/songwriter Angryfish, live performance of the DPAC Anti Atos anthem ‘Condem Love’ by Kevin Robins and headlining will be Rockinpaddy. Members of the RMT Union converged on the East Staffordshire Town of Burton-Upon-Trent to protest against the government’s rail policy which will take away jobs and significantly increase the barriers disabled people face to accessing the rail network. Back in 2011 the government asked Sir Roy McNulty to commission a report into how the rail network could make savings. The McNulty report suggeststhat up to 20 000 jobs could be cut across the rail network including the closure of up to 675 ticket offices. Previously the RMT and Action For Rail have held two previous protests in the town which encountered strong opposition from both the town’s MP and the train operating company East Midlands Trains who run the station. So on July 3rd the RMT hit back bigger and better than before. Joined by the disabled people’s rights group Disabled People Against Cuts (DPAC), members of Derby Trades Council and the local Labour party to leaflet the passengers about the dangers of the McNulty report. Paul Walker a member of the RMT’s executive council told the assembled local media “We do expect a reduction in hours. Let’s look at what East Midlands Trains has said – ‘not at this moment in time’. “It means when the franchise is up for renewal in another couple of years it will be expected to take on the McNulty Report. “It talks about 20,000 jobs and driver-only trains. If you take the train manager and the guard off a train – their primary function is the safety of passengers. Protests against the government’s rail policy take place at railway stations across the country and Action For Rail is backed by all four of the major transport unions with the custodians being the TUC. The RMT branch in Burton sends its special thanks to Disabled People Against Cuts who have supported the campaign nationally and offered their support to the Burton action after hearing of the political situation in the town. The next national day of Action for Action for Rail will take place in September however there are plans for further action in Burton before then depending on the responses of East Midlands Trains and the Tory MP. National Bedroom Tax Protest 27 July .. and more..
. Email details of your plans, and if you want help with speakers, leaflets etc. Please join us outside the Royal Courts of Justice to show solidarity and support to the claimants taking a challenge against the Government’s ‘Bedroom Tax’ that came into force on 1 April this year. The ten claims, made by a range of people affected by the Bedroom Tax, will be heard together over three days starting on Wednesday 15 May. The ten claims, made by a range of people affected by the Bedroom Tax which came into force from 1st April this year, will be heard together over three days starting on Wednesday 15 May. Jacqueline who has spina bifida is not able to share a bed with her husband and as there is not enough space in her bedroom for a second bed he sleeps in a second bedroom. The couple have been awarded a Discretionary Housing Payment to cover the 14% under-occupation penalty on their housing benefit that came in from 1st April but this payment will only last 6 months and they do not know how they will meet their rent when it ends. Richard is a wheelchair user whose disabled stepdaughter lives in university halls of residence during term time. He uses his third bedroom to store equipment including a hoist, power chair and shower seat. He has had his housing benefit reduced by 25%, on the basis that he is under-occupying by two bedrooms but there are no suitably adapted properties for him to move to in either the social rented or the private sector. The challenge comes less than a week after the Sunday People told the story of how disabled mother Stephanie Bottrill tragically took her own life after being ordered to pay an extra £20 per week under the government’s vicious bedroom tax. The vigil is being called by Camden United for Benefit Justice, Disabled People Against Cuts, Single Mothers’ Self-Defence, Taxpayers Against Poverty, and WinVisible (women with visible and invisible disabilities). Changes to disability benefits which came into effect this month have affected hundreds of thousands of claimants. In this seminar we will be asking ‘What is the future for disabled people?’ We will consider if the the current welfare changes are fair and look at ways we can support people locally who have been affected by the changes. The keynote speaker will be Debbie Jolly a disabled activist, writer and co-founder of DPAC (Disabled People Against Cuts). The seminar is open to both the statutory and voluntary and community sector, and is hosted by the Social Council and Action Disability Kensington & Chelsea. With the bedroom tax and other benefit cuts taking effect from 1st April many people are being left unable to pay and not knowing where to turn. Local benefit justice meetings have been organised bringing together local communities to support each other and to organise campaigns to put pressure on local councils and housing associations to say no to evictions and to look at redesignating properties to avoid the bedroom tax. There are already strong campaigns in Leeds, Manchester, Newcastle, Sheffield and Liverpool among other places and meetings have been held in Gillingham, Chatham, and Tower Hamlets. More are planned – see below for a current list. For more information about any of these meetings please get in contact. Also please let us know of other meetings we may have missed. In the court case taken by five disabled people against the proposed closure of the Independent Living Fund (ILF) , and supported by a campaign led by DPAC and Inclusion London certain documents were used. These documents are mainly correspondence between civil servants at the Government’s Department for Works and Pensions (DWP) and the minister for disabled people: Esther McVey. These documents were released and declassified after the court case because they had been mentioned in the case. This is a summary of those documents. Question 1Do you agree with the Government’s proposal that the care and support needs of current ILF users should be met within the mainstream care and support system, with funding devolved to local government in England and the devolved administrations in Scotland and Wales? This would mean the closure of the ILF in 2015. Question 2What are the key challenges that ILF users would face in moving from joint ILF/Local Authority to sole Local Authority funding of their care and support needs? How can any impacts be mitigated? Question 3What impact would the closure of the ILF have on Local Authorities and the provision of care and support services more widely? How could any impacts be mitigated? ‘A range of smaller national and local disability groups expressed similar concerns with our proposal. Some have been able to support the closures in principle but usually conditional on current user awards being protected as part of ring-fenced funding. The most vocal group has been the relatively new Disabled People against Cuts, DPAC. This group has taken a very strong critical position on a range of DWP policies’. Yes we have and both Miller (our old mister for disabled people) and McVey refused to meet us and ILF users several times-in fact they didn’t even bother to respond to these requests! Amazing! Because if most said : keep it open, and if most said people would lose support or enter institutions, including responses from local authorities: what exactly did they listen to? The cost of closure will be £39 million! One document states that some of this has been achieved by the savings from closing ILF to new users in 2010. But closure cannot be publically defined as value for money-indeed! ‘The transfer costs mean that this proposal will cost rather than save money and therefore it cannot be defined as value for money. However the transfer costs are fully affordable’. Not to ILF users they aren’t! And wouldn’t £39 million, plus transfer cost be better put into ILF? Of course that’s not what they want to do, in spite of a consultation exercise where the majority appeared to say a resounding NO to closure. 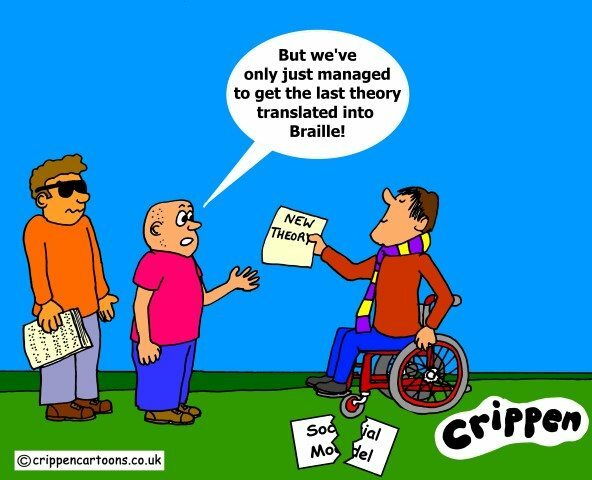 Why did the DWP think it would Easy to Close the ILF? One of the reasons given that the DWP found it so easy to close the ILF to new users in 2010 was the lack of any objections from the ‘big disability organisations’ which DWP call ‘Major Departmental Stakeholder Responses’ whatever that is. In terms of the announcement of proposed closure in 2015 it was noted that none of these ‘stakeholders’ had requested a meeting with ministers from Westminster. Basically most had kept quiet, and hadn’t seen the closure of ILF as any big deal. Great support guys! Guess they forgot about that vocal group DPAC and Deaf and Disabled Peoples’ Organisation: Inclusion London, because the closure of the ILF has now received significant attention in the UK and in Europe, at European Parliamentary level through MEPs and at UN level and we’ll make sure this continues. Neither DPAC nor Inclusion London has the millions for campaigning that the big disability charities have, nor dedicated media, press and campaign teams. But we do have passion, and we do care about what happens to us all as disabled people, and we care what happens to independent living. ILF users taking the case and supporting the case have appeared on TV, on radio and in newspapers to get the message across that ILF is important and this will continue too. So what did these so called ‘stakeholders’ say in response to the consultation? According to the DWP, there was not enough resistance at all. -since the 2010 closure of the fund to applicants disabled people have had to start entering residential care. ‘Rights not Charity’ seems very apt as the major charities for disabled people appeared to agree with the closure, after all more institutionalisation of disabled people might benefit them mightn’t it? Disability Rights UK (DRUK) a so called user-led organisation incorporating, but clearly forgetting the principles of National Centre for Independent Living, did not offer more than ‘concern’. The Spinal Injuries Association ‘disagreed’ but what this needed was for all to come out and say ‘Strongly Disagree’ as Disability Wales and Inclusion Scotland did. Remember that when the charities ask you for money, remember that when those groups that didn’t come out fully against the closure of the ILF say they are on the side of disabled people or are working for disabled people: we believe they can no longer justify either of those statements. We will work through more of the documents looking at issues on transition, and the DWP’s media strategy which is unsurprisingly at odds with any issues raised by disabled people-you know the stuff Closure of ILF will give ‘choice and control’ , ‘committed to supporting disabled people’ blah, blah, blah. The big difference here is that it is clear from the documents that the DWP are perfectly aware that ILF users will lose funding and that their needs won’t be adequately met through the local authority system. 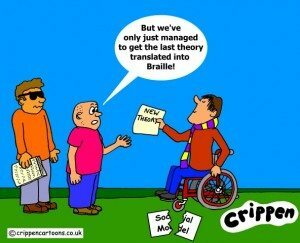 Finally, the DWP were keen to try and put the message out that the closure of the ILF was not about ‘cuts’ but about ‘reform’ –what’s the difference? They do appear to believe that if they say reform we all think this is a good thing, rather than identifying that everything that comes under the heading of reform is actually another cut. Support ILF users now; support a better future-say no to the closure of the ILF! Funding for ILF users in Northern Ireland is currently the responsibility of the Northern Ireland Department for Social Development, not the Department for Work and Pensions. An organising meeting called on Saturday 19th January by Defend Council Housing (DCH), Disabled People Against Cuts (DPAC) and Right to Work (RtW) attracted around 40 people representing 32 different campaign groups and union branches to build an umbrella campaign to oppose ConDem attacks on the poor and fight for benefit justice. The idea for the meeting came from a workshop on Welfare and Austerity hosted by DPAC and RtW at the Unite the Resistance conference in London in November. Anger and desperation are mounting as benefit claimants brace themselves for changes due to come in this April at a time when many are already having to choose between heating and eating. The Bedroom Tax will mean tenants having to find around a £1000 a year to plug the cut in Housing Benefit, something that is simply unaffordable for people also facing a cut in Council Tax Support through what is fast becoming known as the new Poll Tax, and the benefit cap. Disability benefits are under attack on an unprecedented scale with cuts to DLA set to remove essential support from more than 600,000 claimants and the closure of the Independent Living Fund literally returning disabled people to the institutions. Unemployed workers are labelled as skivers and scroungers when the reality is there are no jobs and mandatory work placements are being used to drive down wages. Many low paid workers who will be expected to implement the changes will also be affected by them as research by union PCS has shown. Campaign groups and actions are multiplying as people are left with no option but to fightback. In Liverpool last week 100 tenants attended a meeting called by Defend Your Homes Against the Bedroom Tax with plans for February to occupy a local housing association that is using housing benefit cuts to push tenants into unpaid work. Local Councils are being targeted with protests called at town halls such as those organised by Camden United for Benefit Justice. A facebook group called Anti Bedroom Tax has over 6000 members, many of whom have never been politically active before. Fuel Poverty Action is linking up with Greater London Pensioners Association and Disabled People Against Cuts on a weekend of action from 15th – 17th February and Boycott Workfare has a week of action planned from 18th – 23rd March. The Campaign for Benefit Justice is about uniting the growing resistance, overcoming the divide and rule tactics the Government is using to get away with its assault on the 99% and bringing together disabled people, tenants, unemployed workers, trade unions, students, pensioner, single mothers and others to oppose benefit cuts. We will be holding an event in London in early March with protests planned for budget day. More details to follow. For more information or to sign up to the statement below please contact info@defendcouncilhousing.org.uk. Cuts in benefits are an unjust attack on the poor. Cuts concentrated on Housing Benefit are already breaking up families, communities and support networks. They will mean poverty, debt and evictions. We oppose all cuts in benefits and tax credits. We did not cause the banking and economic crisis and will not be scapegoated to pay for it. We reject false divisions and stigmatisation of people who are low-paid or unpaid. We will support and link up local campaigns. We oppose all evictions and legal action against those hit by benefit cuts and support all actions taken in defence. Disabled people and supporters have launched a petition calling for an end to the War on Welfare being waged by their own government. The Welfare budget, and particularly benefits going to disabled people, has been heavily and unfairly targeted for cuts. It is said we can no longer afford the current welfare state. In reality however, as a percentage of GDP, the welfare budget is now lower than it was at any time during the eighties. While at the same time the combined wealth of Britain’s 1,000 richest people increased by almost 5% to over £414bn. In order to resist the government’s cruel and failing welfare policies, disabled people, together with their carers, families and friends, have combined using social media to produce the #WOWpetition. This calls for an end to the War on Welfare. Spearheaded by actress and comedian Francesca Martinez the WOW petition aims to get 100,000 signatures to end this War On Welfare by the government. We will be calling for a Cumulative Impact Assessment, an independent inquiry and if necessary, the repeal of the Welfare Reform Act of 2012. We believe that every single person in the country has a reason to resist the War on Welfare. Any one of us could have need of the Welfare State at any time. The ‘Greatest Generation’ fought WWII believing they had secured this safety net for themselves, their children and generations to come. Don’t let it go without a fight! We owe it to them. We owe it to ourselves to ensure a decent and dignified life for all, and to provide security for all our futures. The deaths of disabled people linked to the Welfare Reform Act and the Work Capability Assessment administered on behalf of the Government by the private corporation Atos are reported in the press with alarming regularity. We believe that in any humane society the Government would want to know if one of their flagship policies was in any way responsible for a ‘slow genocide’ of disabled people.